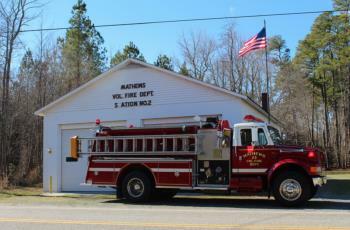 The MVFD operates 5 fire stations throughout the county. The first fire station was built in 1937 at the same location as the current station. The station was added onto in 1949 and in 1957. The current station was built in 1975. 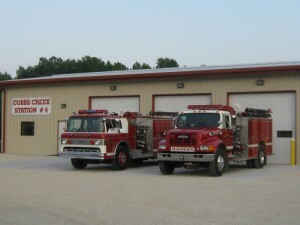 The “courthouse station” is staffed with 30 firefighters, 2-engines, 1–mini pumper, 1– rescue/utility truck, and 1-brush Jeep. Station 2 is located in the Bohannon area of the county. The first Bohannon station was built in 1949. The current station was dedicated in 1986. The Bohannon station is staffed with 15 firefighters and 1-engine. 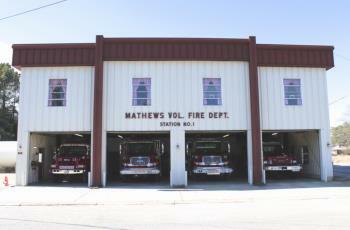 Station 3 is located on Gwynn’s Island and the first station was open in 1956. The current Gwynn’s Island station was built in 2002. 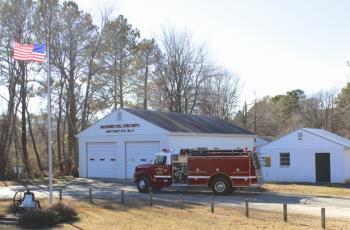 The Gwynn’s island station is staffed with 15 firefighters and 1-engine. Station 4 is located in the Cobbs Creek area of the county. The fire station was built in 2014. The Cobbs Creek station is staffed with 20 firefighters and 1-engine. 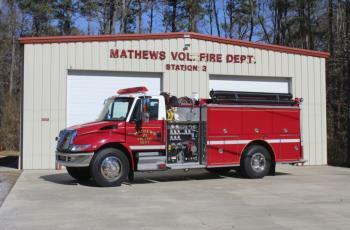 The department’s reserve engine is assigned to station 4.